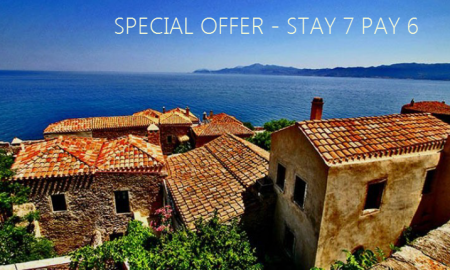 Built with exceptional architecture our hotel is considered as the greatest value-for-money choice for accommodation, not only in Monemvasia but also in the wider area of Laconia prefecture. Established in ideal location at Monemvasia new town [locals called it gefyra meaning bridge], with magnificent view to the sea and the Monemvasia Castle (Kastro), Venetia Apartments will definitely offer you the most relaxing and rejuvenating leisure time –maybe– you’ve ever had. 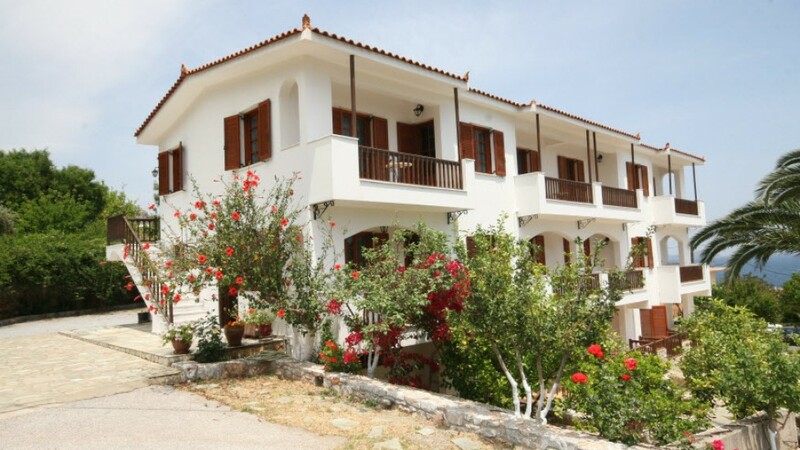 The town’s center is less than 5 minutes walking and the beach can be reached in a walking distance of 150 meters. Retreat yourselves in one of our spacious [55 m2] and airy guest apartments, filled with comforting touches like the private balconies with the compelling sea view, and beds specially designed for a wonderful night’s sleep. All apartments have 2 premises [living room and bedroom] and private balconies with exceptional sea and Monemvasia Castle [kastro] view. In addition all apartments are equipped with bathroom, fridge, TV, air-condition and fully equipped kitchen.